TU has published exam routine for 2074. 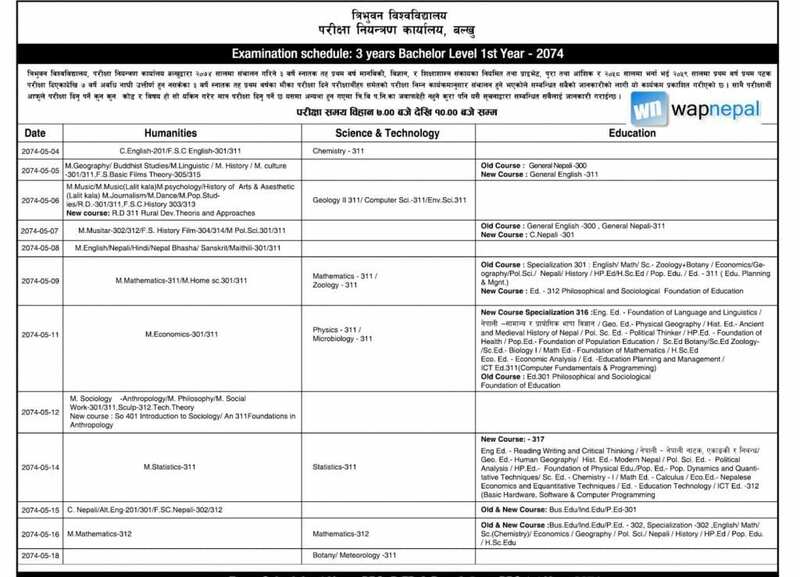 You can check the updated version of TU exam routine 2074 over here. You can download TU exam routine for future use. If you are searching for TU exam routine 2074, this page will help you a lot. If you are looking for TU exam routine that is not mentioned in this page, you can go to�TU Routine Tribhuvan University Exam routine.�This page will help you to check all TU routines that have been published officially through official website of the Tribhuvan University. 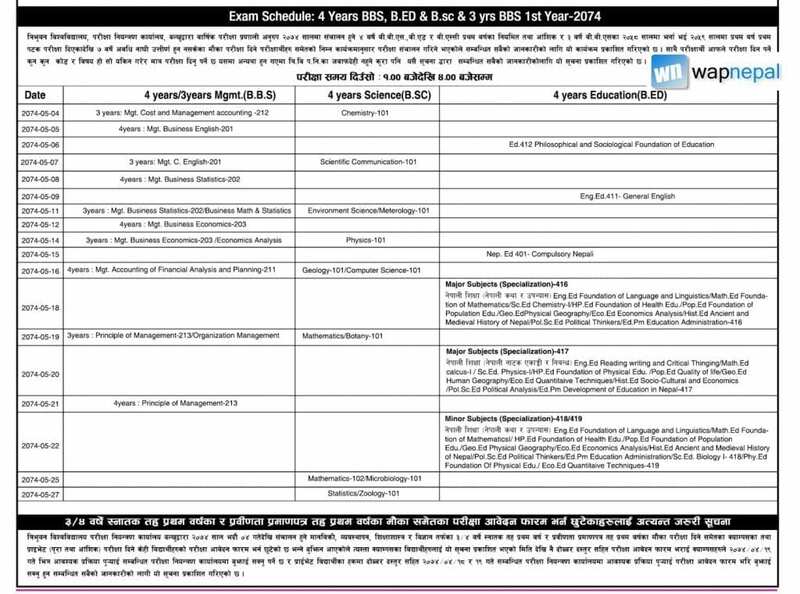 Update: TU BBS exam routine for first year has been published. 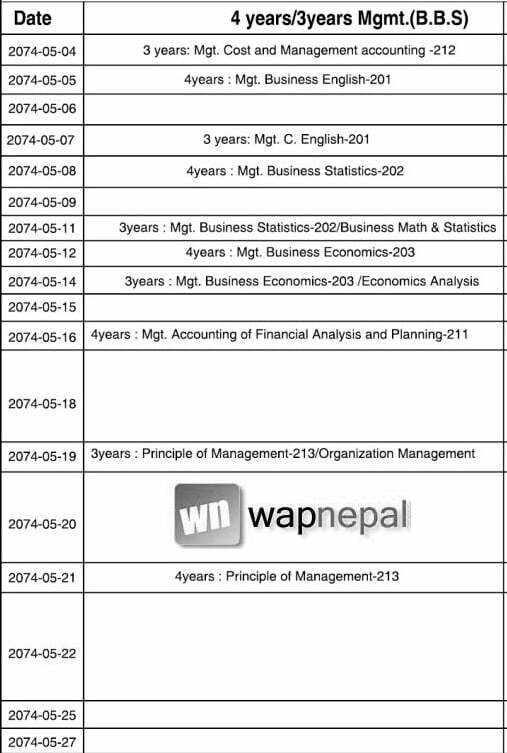 The deadline for exam form fill up is 2074 Shrawan 19. The exam time has been fixed from 1 to 4 in the afternoon.